Because we build website for startup companies and those new into business we’re often asked “What is SEO?” or “Why is SEO important?” by our new clients. 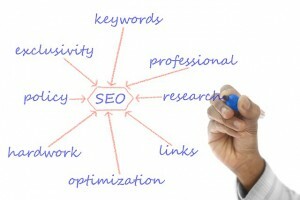 So hopefully this article will help to explain a little of what SEO is about. SEO stands for ‘Search Engine Optimisation’. The idea behind it is to try and ensure that your website is found by the search engines (such as Google, Bing and Yahoo) and that your website ranks well in the results when someone looks on the search engine for what your website is selling. The reason that SEO is so important is that even when your website is launched onto the web, there’s no guarantee that it’ll rank well when someone looks for your products or services. However, if your website is fully optimised it will seriously help your rankings. When we build a website we always work hard to optimise the site to help the search engines list the pages according to appropriate key words relevant to the business. Clients regularly ask “What is SEO” so hope this helps. For example: if you sell antique teapots we’ll ensure that antique teapots are mentioned regularly in the text (the content) on your website and also in the background. This will help the search engines to list your website according to the category of ‘antique teapots’. This means that when someone puts ‘antique teapots’ into Google then your website will be listed in the results (this is called ranking). The higher the better with the aim of being on the first page. The ultimate goal is to rank at the top of the first page of search engines for the search terms you wish your website to be found on. But this takes time and effort. The upshot is that if your website cannot be found on the search engines then it won’t be noticed by potential customers. Even further to that: if your website isn’t on the first page (or at worst the second page) of the search results then the chances of winning business online decreases dramatically.